Grind TV reviewed the Tamland 2 and declared it a suitable bike for "everything from a cross-country tour to daily commuting." 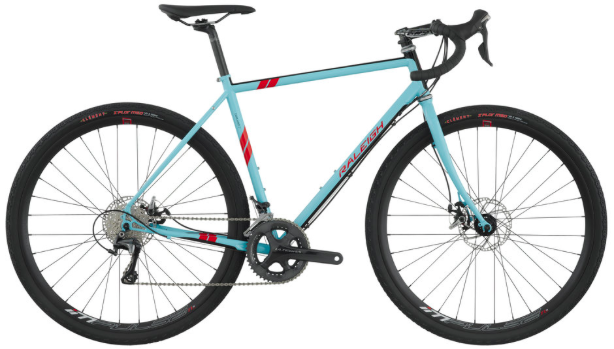 All-road, also referred to as gravel, bikes have been increasing in popularity in recent years and the Tamland 2 is one of the first bikes Raleigh created in this category. As a result the 2016 Tamland 2 hits the sweet spot between road and mountain bikes, offering versatility, performance, allowing cyclists to ride on paved roads with friends on the weekend, or tackle non-paved trails when the urge for adventure arrives. To accomplish the hybrid ride mentioned above the Tamland 2 utilizes Ultegra 6800 components, a Reynolds 631 frame and TRP Spyre brakes. The result is a reasonably priced bike that can tackle a variety of terrain, with a frame that will last for years and allow the rider to fulfill their adventurous side. Editor's Quote: "...one of our favorite rigs of 2016..."
To view the Tamland 2, click here.